Constitutional Carry is on the move in the Iowa legislature. Below, you can see the bill for yourself, as well as our Fact Sheet that highlights what this bill would, and would not, do. Feel free to review this and then make sure you call your Senator at 515-281-3371 and urge him/her to cosponsor Constitutional Carry for Iowa! Constitutional Carry legislation simply makes the current ‘Shall Issue’ permit system optional and allows law abiding Iowans to carry a gun for any lawful purpose without having to first obtain a permit and add their name to a government database if they choose to do so. Constitutional Carry does not eliminate or modify the current ‘Shall Issue’ permit system in any way. It remains fully intact. Rather, this permit would simply be optional, meaning that there would be no issues surrounding reciprocity. 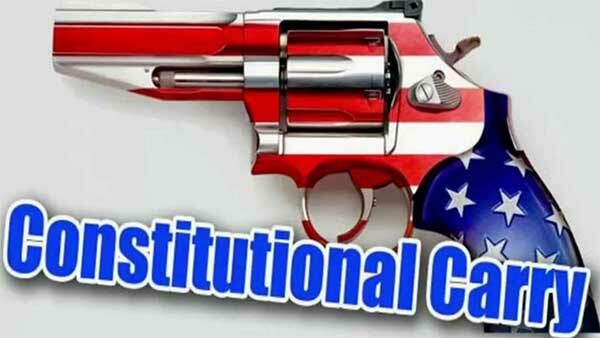 Constitutional Carry does not enable criminals to possess or carry firearms. All of the current federal and state prohibiting factors remain in effect. The ability to forgo a permit only applies to those who are legally eligible to possess firearms in the first place. Constitutional Carry has already been passed into law in the following states: Alaska, Arizona, Arkansas, Idaho, Kansas, Maine, Mississippi, Missouri, New Hampshire, North Dakota, Vermont, and Wyoming. Eight of these states enacted this legislation in the past 3 years. In addition to the states where Constitutional Carry is already law, it has been filed and is being actively pushed in Minnesota, Wisconsin, South Dakota, Virginia, Colorado, Georgia, North Carolina, South Carolina, Texas, Ohio, and Indiana, amongst others. The states that have already enacted this legislation have seen no increase in violent crime after passing Constitutional Carry. On the contrary, esteemed researcher Dr. John Lott’s initial research on Constitutional Carry states show that they have lower crime rates even as compared to ‘shall issue’ states.